EUROPE: Developer EDP Renovaveis has sold a 49% share of wind projects in Spain, Portugal, France and Belgium to Vortex, a Egypt-based fund for €550 million. The share of the 23-project portfolio has been acquired by Vortex, a fund led by Middle East and North Africa (MENA) investment bank EFG Hermes. EFG Hermes managing director of infrastructure private equity, Bakr Abdel-Wahab, said: "The transaction was complex to structure and execute as it covers four jurisdictions with different regulatory and operational regimes. The premium underlying assets, generating in excess of 1.7TWh per annum, have four years of average age, 15 years of remaining regulatory life and blue-chip turbine technology. "This gives Vortex exposure to a highly regulated European revenue stream. Moreover, its margins and wind capacity factors are above the market average, setting the floor for very attractive and competitive cash yields," he added. Although the 664MW of projects have been in operation for an average of four years, the portfolio includes some wind farms that are due to be commissioned in 2016. 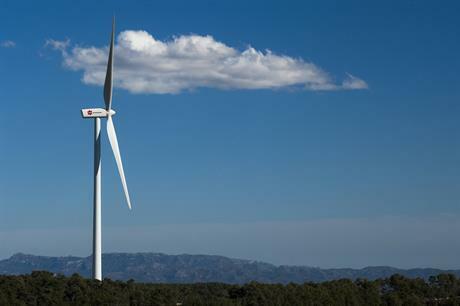 More than half – 348MW – of the portfolio is located in Spain, with an average six years of operation. In Portugal, Vortex has acquired its share in 191MW of capacity, with a further 54MW in France and 71MW in Belgium. In October 2014, EFG Hermes acquired a 49% stake in EDPR's French subsidiary. EDPR said the transaction was part of an "asset rotation strategy" and proceeds from the sale would be invested back into the development of "quality and value accretive projects".